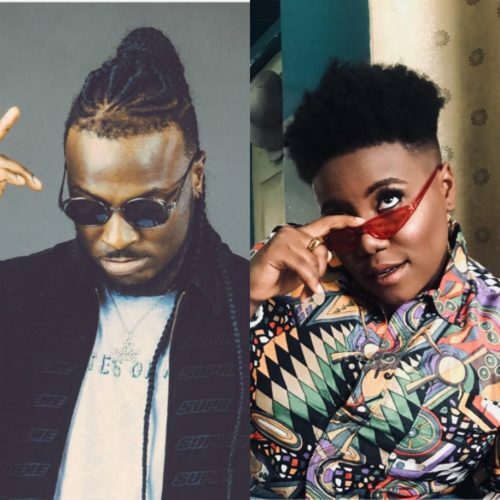 For the past 16 months these two artistes Tobechukwu Okoh and Teniola Apata respectively known by their stage names Peruzzi and Teni have had a fantastic run. In fact last year was even better for them as they were able to come of with hit tracks and also feature on hot ones too. In 2018, both Teni and Peruzzi were nominated for ‘Rookie of the year’ in the Headies Awards. Of course, Teni won the Headies ‘Rookie of the year’ ahead of others who equally deserved it too. Still talking 2018, Teni had such a lovely year as she released a handful of songs. However, ‘Wait‘, ‘Fake Jersey‘, ‘Askamaya‘, ‘Case‘ turned out be hits and the fans favourites. On the other hand Teni got a really busy schedule last year as she booked for shows all over the place. In all this the singer has maintained her usual jovial self on Twitter. For DMW Peruzzi it’s been a wild year for the singer. The melodious singer is the brain behind his label’s all stars hit tracks like ‘Mind‘, ‘Aje‘, etc. That was not the end as he landed a feature with 2Baba on one of the biggest songs from last year ‘Amaka‘. He has also been a top featured artiste last without with several other colleagues. He ended the year by dropping an EP ‘Heartwork‘. For the 3rd edition of the SoundCity MVP Award Festival both Peruzzi and Teni have been nominated as ‘Best New Artiste’ amongst others. Between the two singer who deserves to take home the competitive award? Peruzzi OR Teni??? Share your thoughts.